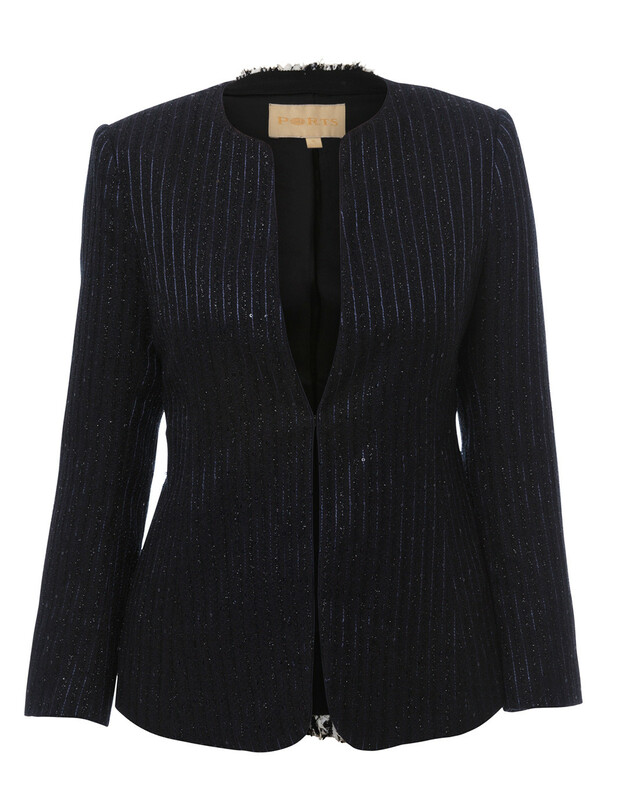 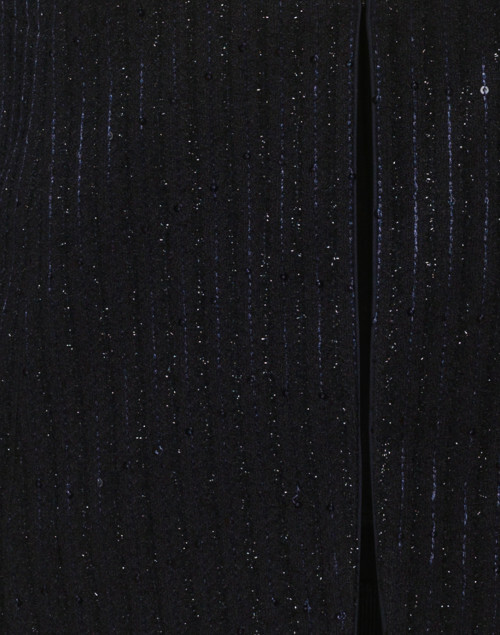 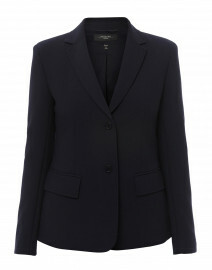 Make a statement at your next evening event with Ports International's navy lurex striped blazer. 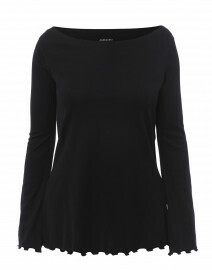 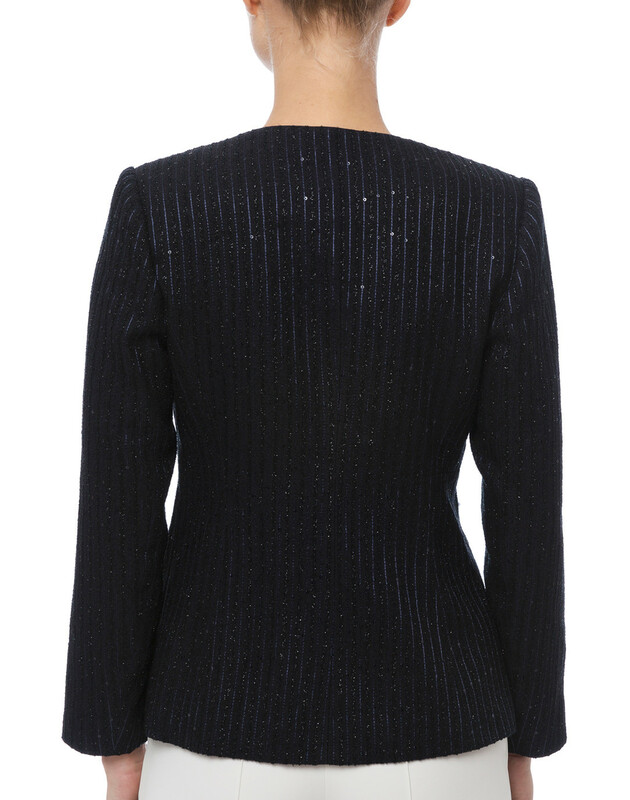 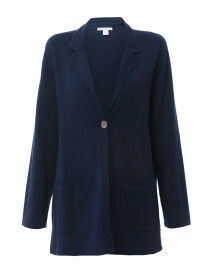 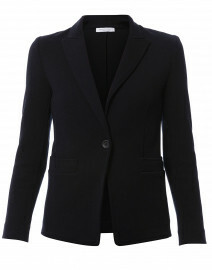 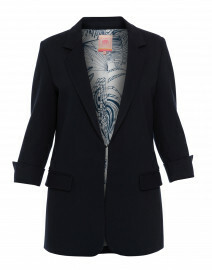 It is shaped for a slim fit with a collarless neckline, long sleeves and a concealed hook fastening. 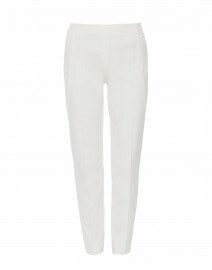 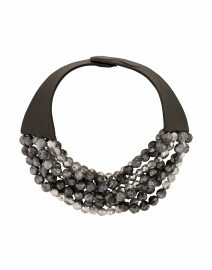 Team it with white tailored trousers and a statement necklace for a contemporary evening look. Length 23" 23.5" 24" 24" 24" 29" 24.5"
Shoulder Width 14" 15" 16" 16.5" 17" 18" 17"
Bust 33" 35" 37" 40" 42" 48" 44"
Waist 31" 32" 34" 37" 39" 65" 42"
Hip 40" 40" 43" 45" 46" 79" 45"
Sleeve Length 22" 22" 22" 23" 23" 22" 9"